Unveiled several years ago but modestly refreshed for Baselworld 2014, the Vincent Calabrese Régulus Flying Tourbillon has been reduced to the bare minimum in both components and size. 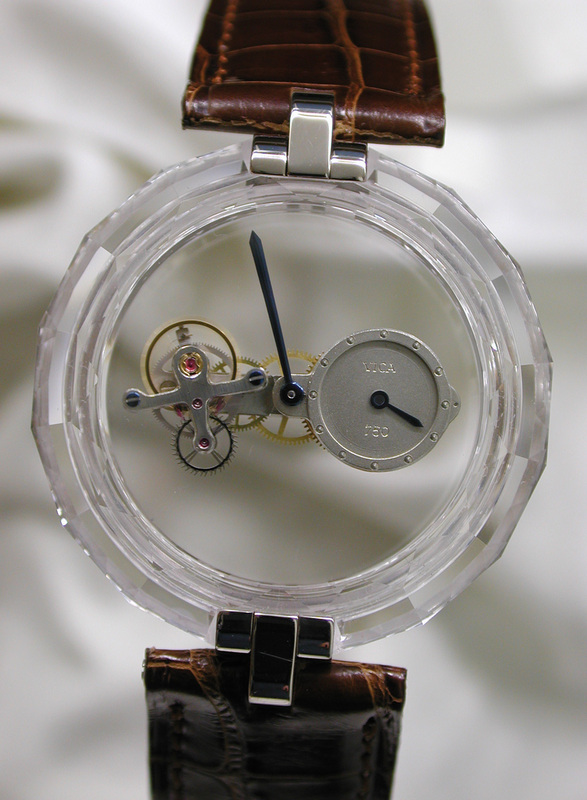 As a result the movement floats serenely in the centre of the transparent case, with no visible attachments. The bridges and base plate of the movement are made of solid gold, with Calabrese’s signature flying tourbillon at nine o’clock. A notable detail is the bird-shaped tourbillon cage, which is similar to that found in Blancpain tourbillons as those were also designed by Calabrese. Displayed regulator style, the time is indicated with the minutes in the centre and the hours on the sub-dial at three. 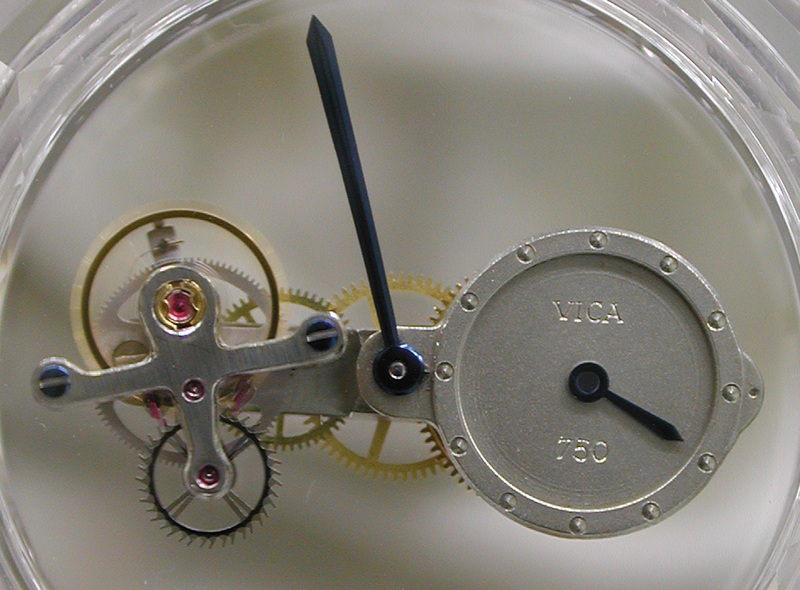 Time setting and winding are done via the crown mounted on the back of the movement, directly underneath the barrel. The case is entirely clear sapphire, with a diameter of 36 mm. The Régulus Flying Tourbillon starts at 180,000 Swiss francs, or about US$203,000. But this version with a sapphire case as shown retails for 225,000 Swiss francs, equivalent to about US$253,000. They can be ordered direct from Vincent Calabrese. Calabrese was one of the co-founders of the AHCI in 1985, and though he is not as widely known as he once was, Calabrese is amongst the most talented independent watchmakers of his generation. He now works for Corum, for whom he created the Golden Bridge in 1980. Vincent Calabrese can be reached via his website.